Today is the American Diabetes Association (ADA) Alert Day. On this day, ABAs strives to raise awareness for the prevalence of type 2 diabetes and asks everyone to take the free, 60 second Type 2 Diabetes Risk Test. To honor this day, we thought it would be the perfect time to review the key role that pharmacists play in helping patients manage this chronic condition. Diabetes has widespread effects. In the United States, 11.3% of people 20 and older have type 2 diabetes mellitus (DM). For every four people who have type 2 DM, one is undiagnosed. And this percentage is growing. Unfortunately, patients who do not receive routine medical care can sometimes go undetected and without symptoms until the disease reaches an emergency state. Some of the factors that put a person at risk for diabetes include a family history of the disease, obesity, physical inactivity, high blood pressure, and high cholesterol. Fortunately, pharmacists are in a prime position to identify these and other risk factors in patients. Routine tests, such as blood glucose testing conducted at pharmacies across the country, is an example of how a simple test may efficiently identify a patient with a potential diagnosis and help direct them to appropriate medical attention. Because pharmacists are the most accessible health care providers, they are key players in the betterment of patients’ health. For those who are diagnosed, pharmacists are able to provide counseling about monitoring glucose levels and managing out-of-range levels, including developing an action plan for what to do if sugar levels go too low. Pharmacist can help patients select the most appropriate hypoglycemic management strategy on an individual basis. Pharmacists can counsel on an appropriate diet and exercise routine to compliment medication management in treating diabetes—this can be especially useful in underserved areas where access to nutritionists or dieticians may be unavailable. The number of treatment options for diabetes has increased substantially over the past few years. 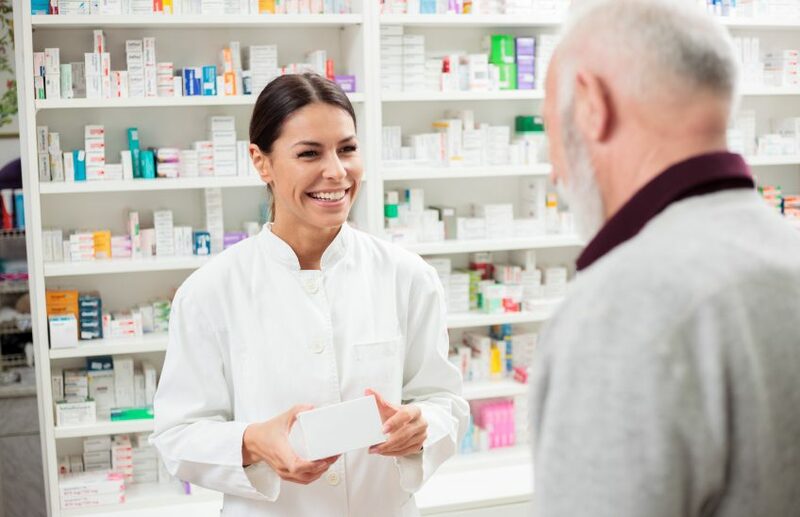 Pharmacists are best positioned to help patients understand the fundamentals and intricacies regarding the medication, as well as helping them understand which medications may be best suited for them. Pharmacists can also help guide patients through the management of adverse effects, knowing when and how to treat these so that therapy can be continued, and when it might be better to switch to an alternative treatment regimen. For patients requiring insulin, the pharmacist can help instruct the patient on how to administer the medication, as well as answer common questions and concerns. With prompt diagnosis, proper lifestyle changes, and appropriate pharmacotherapy, patients can minimize and/or delay the complications that uncontrolled diabetes can cause. Integrating simple ways to ensure that pharmacists follow-up with diabetic patients—not just when new medications are prescribed, but at each and every refill—can help improve the health and quality of life for these patients. Today, and everyday, pharmacists help patients be invested in the best possible management of the disease. Make sure to take the free, anonymous risk test—it only takes a minute to complete! By answering questions such as “Do you have a family history of diabetes?” and “Are you physically active?” you can learn if you’re at risk for type 2 diabetes in 60 seconds.